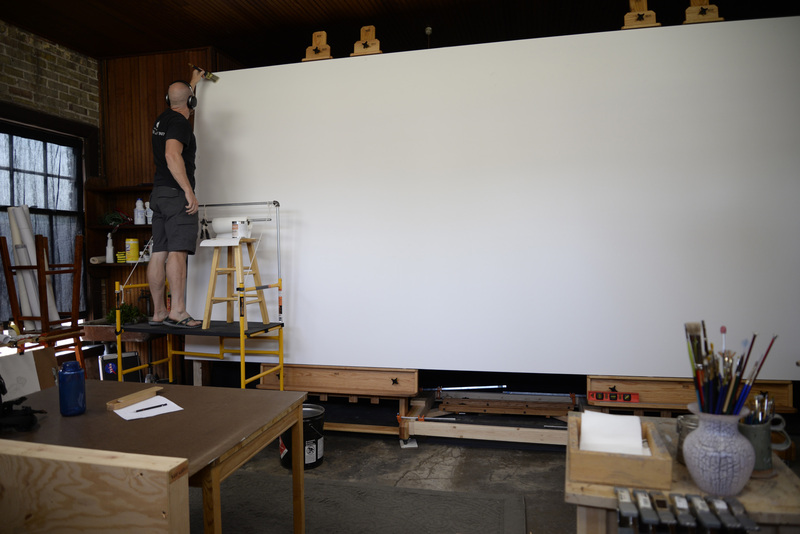 I recently had the opportunity to paint a 194 x 92 inch (roughly 16 x 8 feet) commission piece specifically designed to fit a client’s wall. 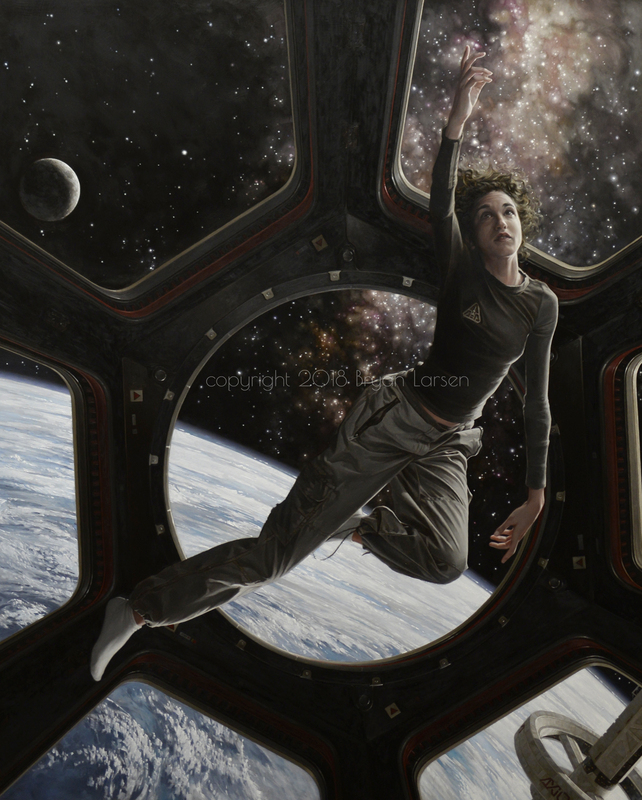 The idea started out as triptych, and I made the case for doing the painting on aluminum composite panels (ACP). I’ve become a big fan of working on aluminum composite panel (ACP), and have made the switch completely away from stretched linen. 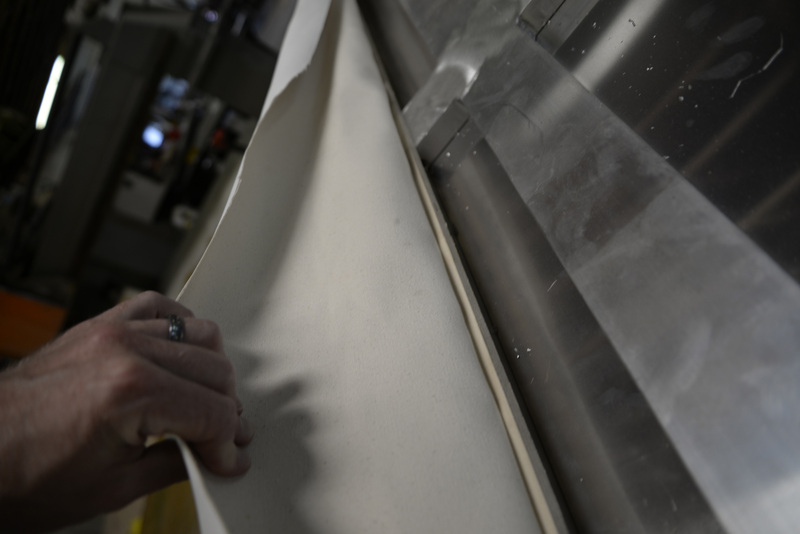 I’ve posted in depth about the advantages of ACP, but in summary, they’re light, strong, comparable in cost to stretched linen, immune to punctures and denting, and archivally superior to linen. My pitch sold the clients on ACP, so much so that even as the plan for the project evolved from multiple paintings in a group to one huge sixteen foot by eight foot behemoth painting, they wanted to stick with it as opposed to stretched canvas. 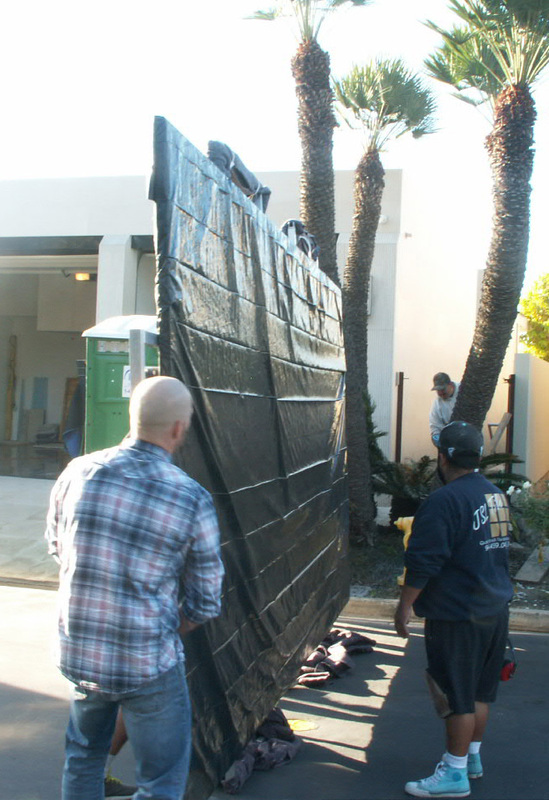 The only problem is, the largest ACPs available are 60 inches by 120 inches (5 x 10 foot), and even those are hard to come by… and hiding seams between panels is all but impossible. 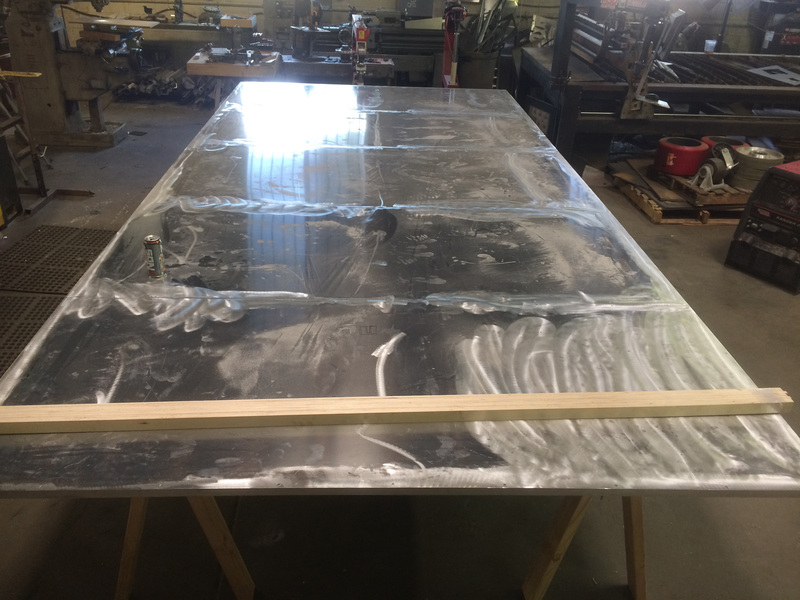 After doing a considerable amount of research into available materials, and consulting with George O’Hanlon, owner of Natural Pigments and expert on archival painting construction, on the theoretical best possible method for constructing an archival panel of this size, I settled on 3/16 inch aluminum sheeting screwed down to a welded aluminum frame, sealed with a coat of primer and then wrapped in acrylic primed canvas (to hide the seams) bonded to the aluminum with BEVA adhesive. The whole thing would then be primed with multiple coats of Rublev Lead Oil Ground to minimize the canvas texture. Because the clients wanted the painting to sit inside a recessed niche in their wall, with a one inch gap around the edges to ‘frame’ the piece, the edges would need to be finished, and the panel’s thickness would have to be kept to 1-1/2 inches total. 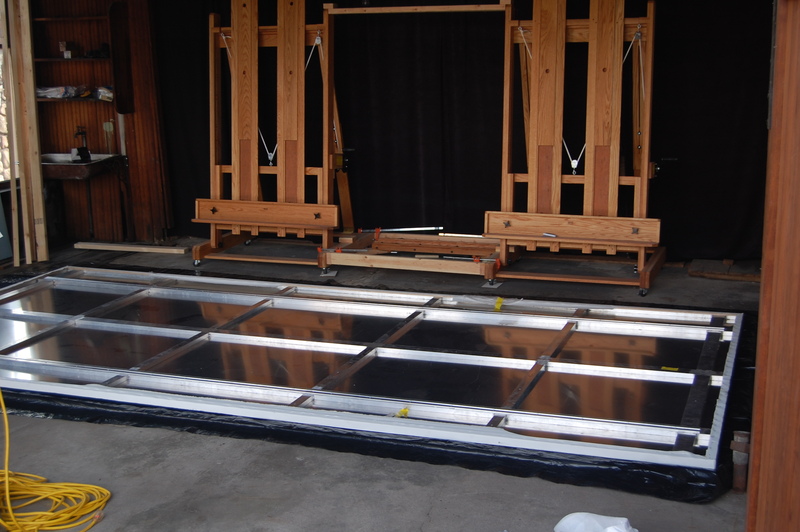 I imagined a removable support frame that could be bolted to the back of the panel to add strength during transportation, but could be removed just before installation, and a wooden French cleat system built into the back of the panel to distribute it’s weight along the full wall when it was installed. 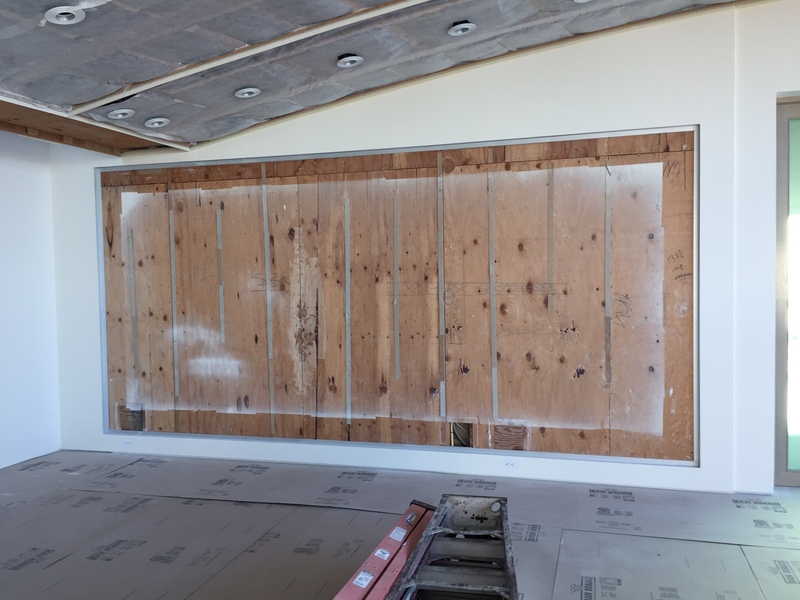 The architect of the client’s house had the niche framed in to the specifications I sent him, and upgraded the wall to ¾ inch plywood to take the weight of the panel. 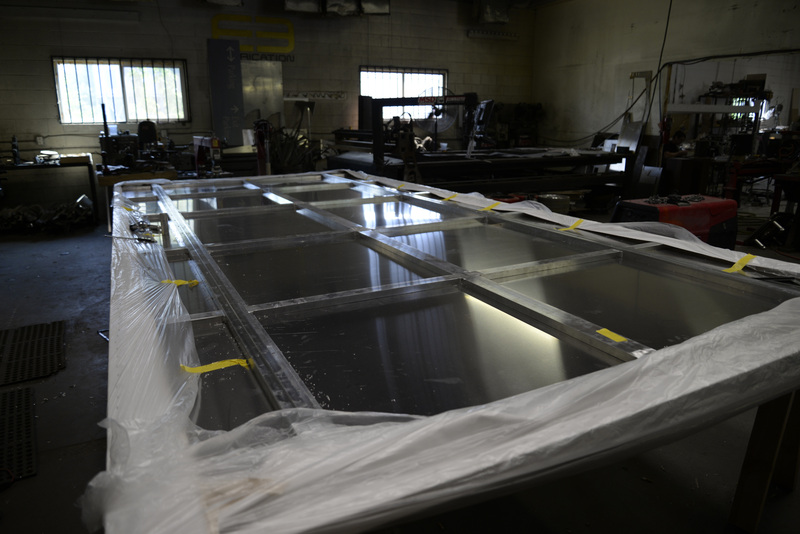 I took my rough mechanical drawings to Tanner Frames in Salt Lake City, UT, and worked with them to contract the fabrication of the aluminum panel out to E3 Fabrication. 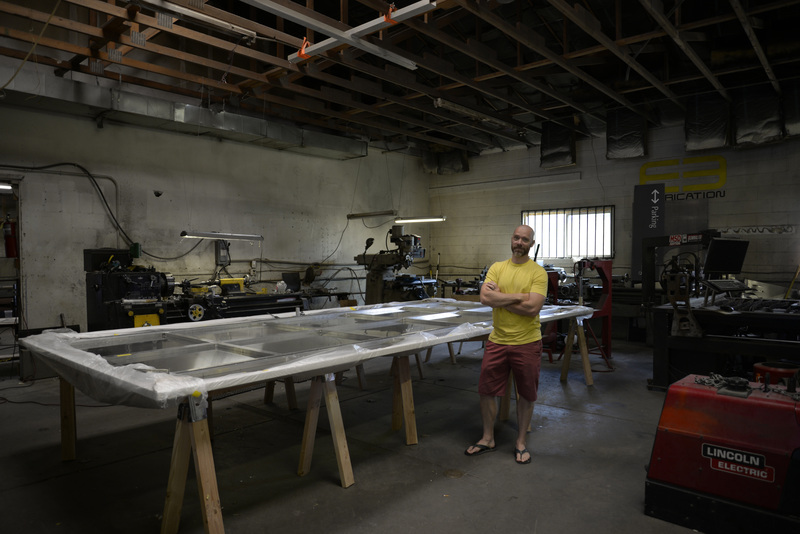 Tanner Frames did the work of wrapping and adhering the canvas. 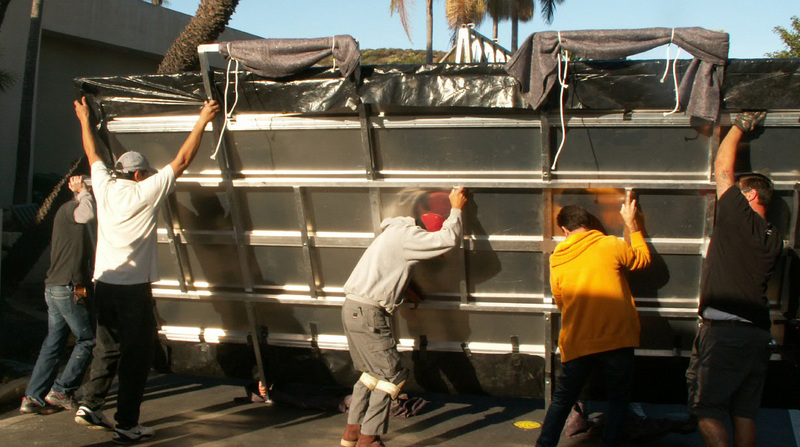 It is always a real pleasure working with Travis and his crew – I highly recommend their work. 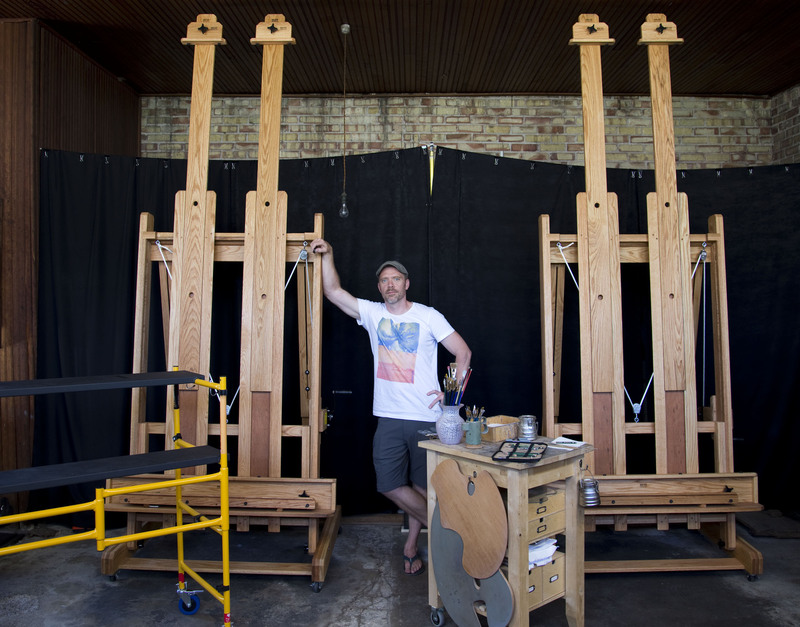 I carefully adjusted the toe mast angle of both easels to match each other, leveled the easels relative to each other, and clamped 2 x 4 spacers between their bases and upright frames to keep them aligned with each other so they would function as one easel. 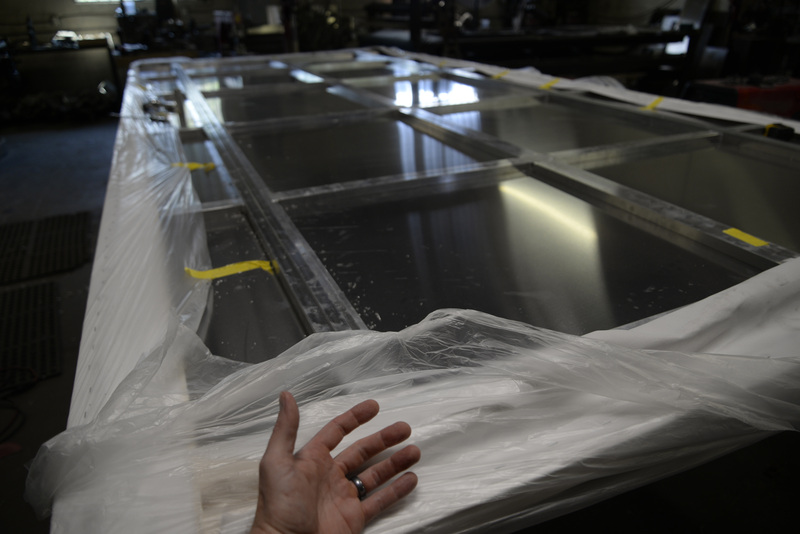 I visited E3 Fabrication to check out the in-progress aluminum work, and was really impressed. They took my basic design, and then turned it up to 11! Every detail was considered. Below are a few images. 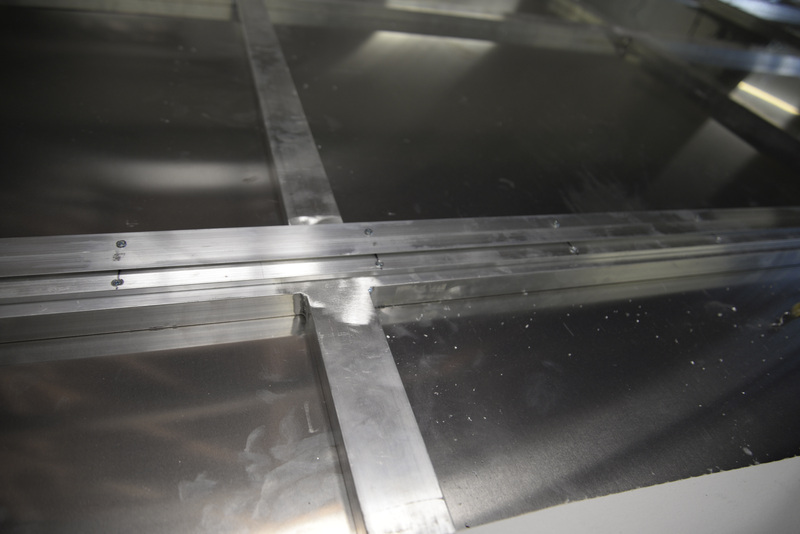 The above image shows the aluminum sheeting screwed down to the frame, the seams filled with epoxy, and then sanded flush. 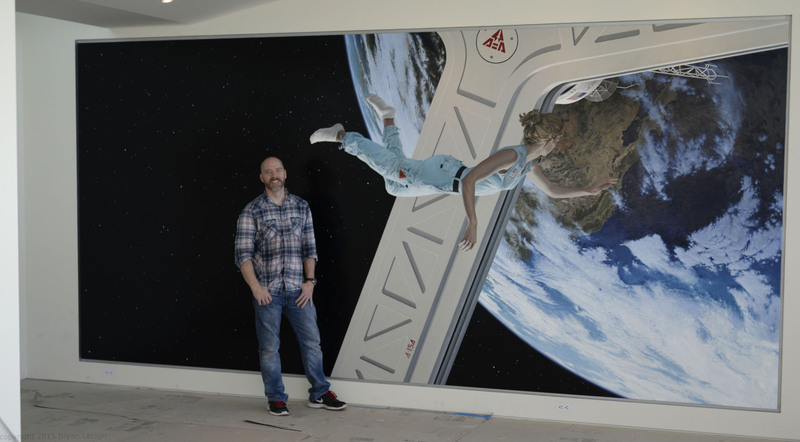 A few shots of the full panel from the back, one with me standing next to it for scale. I was feeling a little intimidated by the size at this point. Look at those gorgeous welds! 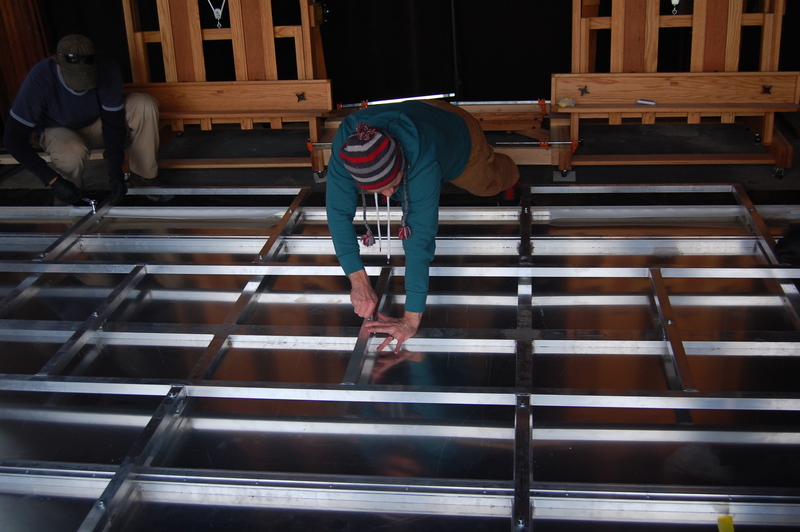 The guys at E3 improved upon my concept for a wooden French cleat buy building an aluminum French cleat into the back of the panel that could even be shimmed up and down as needed. So cool! A birch strip was screwed down around the edge to give the canvas somewhere to attach. 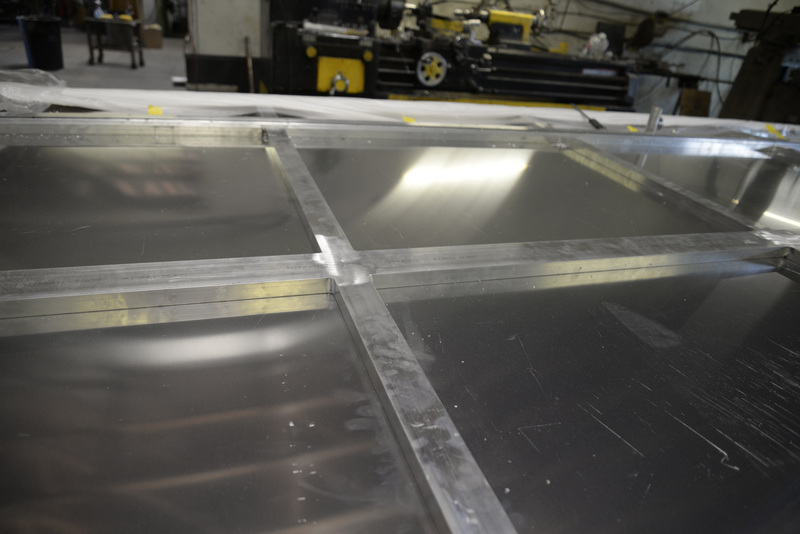 Above is the support cradle that bolts onto the back of the panel. It’s almost ready to go. 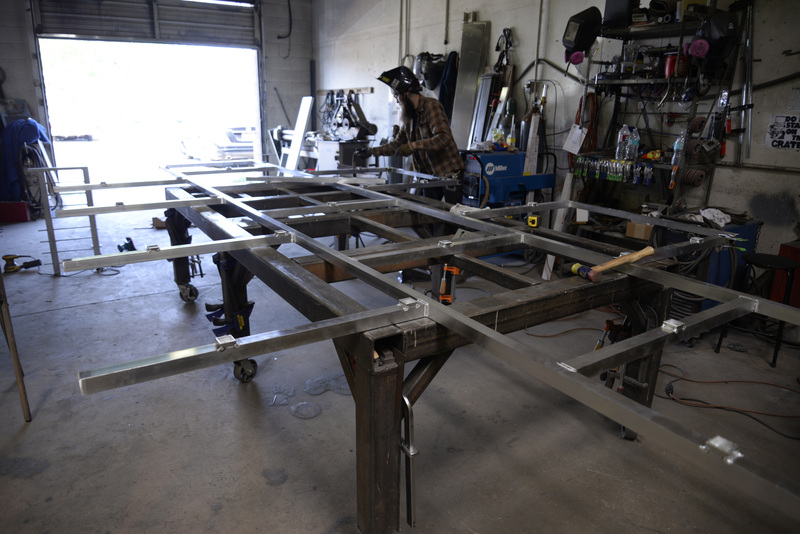 Both Tanner Frames and E3 provided guys to help deliver the panel and get it situated on my easel setup. We laid the panel face down on the grass outside the studio (it was wrapped in protective plastic) and unbolted the support cradle. 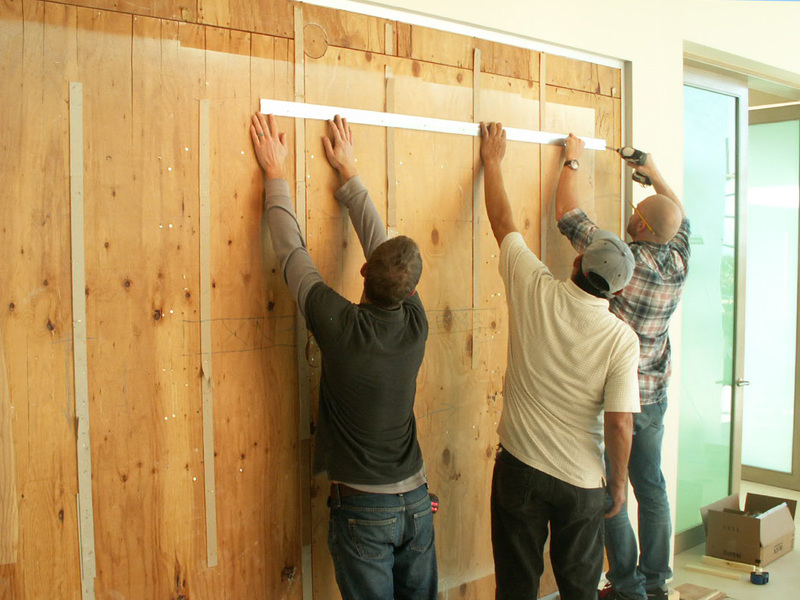 Then we carefully moved the panel inside and onto the easels, keeping it as vertical as possible and, when tipped on an angle to fit through the door, supported in the middle by two guys. 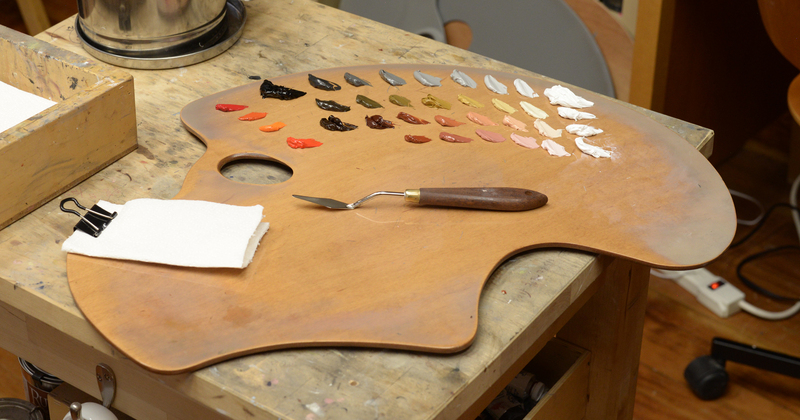 Once the panel was securely in place on the easels, I removed the protective plastic and, over the course of the next week, applied three coats of Rublev Lead Oil Ground; two straight out of the can, and the final tinted to a neutral gray with Ivory Black, Raw Umber and Burnt Umber. Gonna need some bigger brushes! 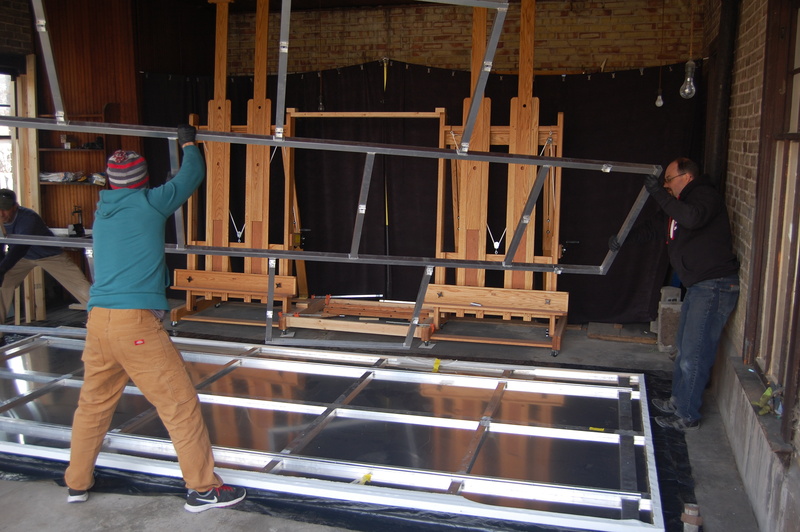 When the painting was finished, the guys from Tanner Frames and E3 were awesome enough to come back out to the studio and help me get the panel down off of the easels, wrap it in two layers of thick, protective plastic, bolt the support cradle onto the back, and get it into a waiting 26 foot Penske truck. 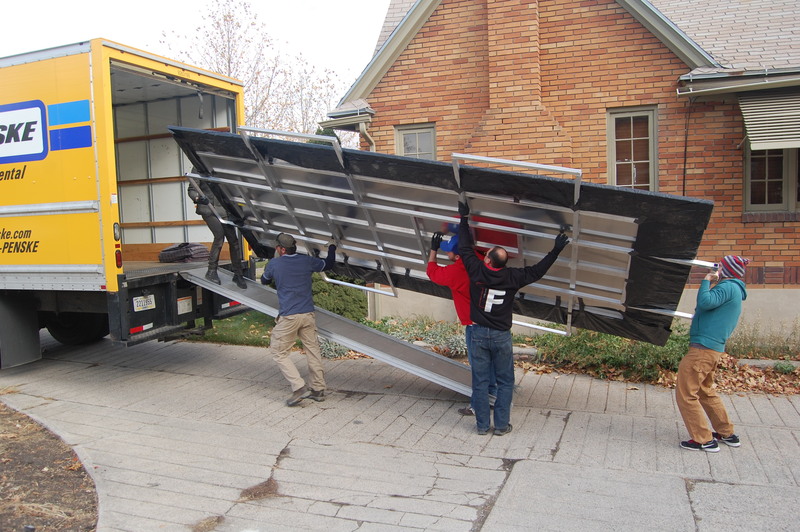 I had built a simple rig inside the truck to keep the panel tipped as close to vertical as it would go up against the side of the truck, and cushion it against a bouncy ride and vibrations from the road. 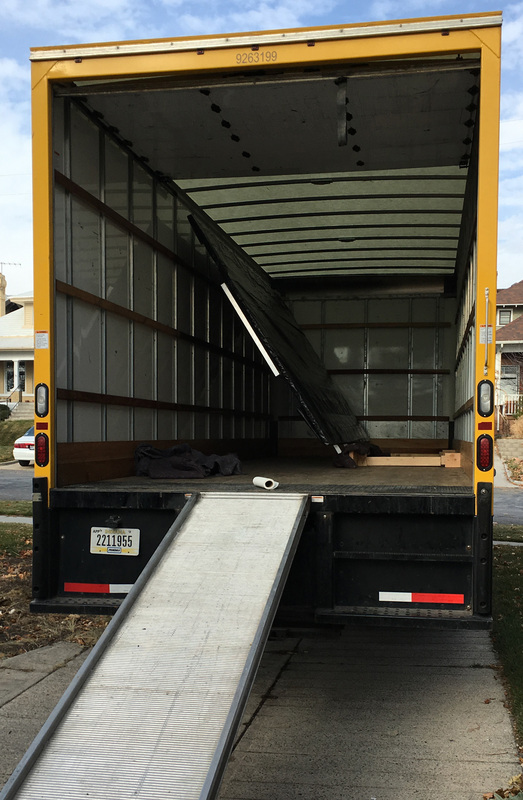 I tied the support cradle to the railing system inside the truck with enough rope to build a small suspension bridge, and then drove it to its new neighborhood. 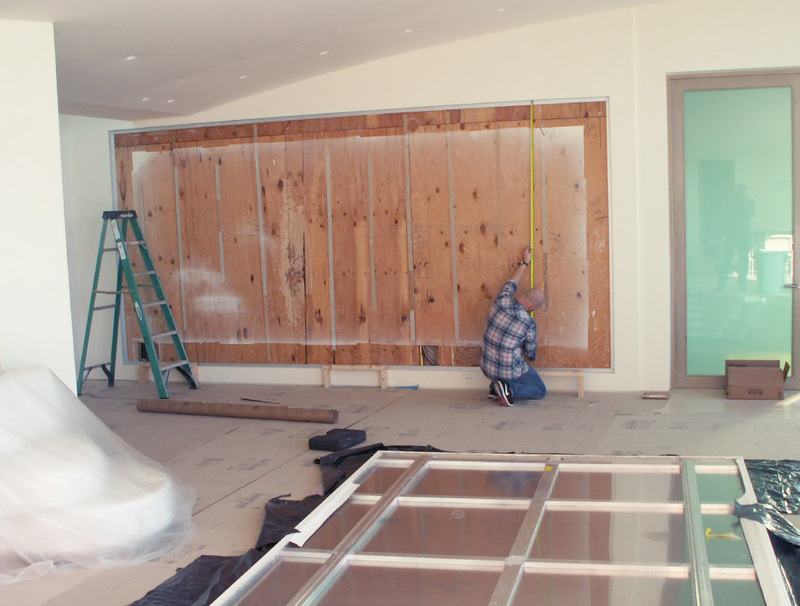 When I arrived with the painting at the client’s home, remodeling was in full swing. 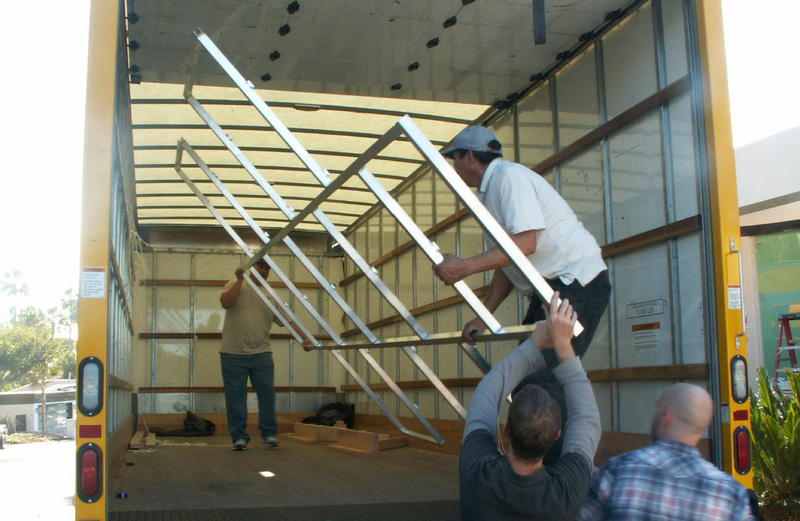 The contractor loaned me a bunch of guys to help get the painting out of the truck and into the house. Out of the truck was pretty straight forward. Into the house was another matter. While this particular residence had a very generous front door, big enough to accommodate the painting, it was blocked by a stainless steel railing and located inconveniently at the end of a short entrance foyer/hallway with a turn into the main room the 16 feet of painting would never negotiate. 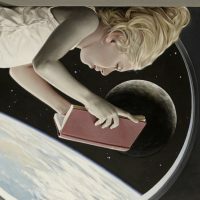 Fortunately, the back of the house had large, floor-to-ceiling view windows that also telescoped open allowing direct access to the room where the painting was to be installed. 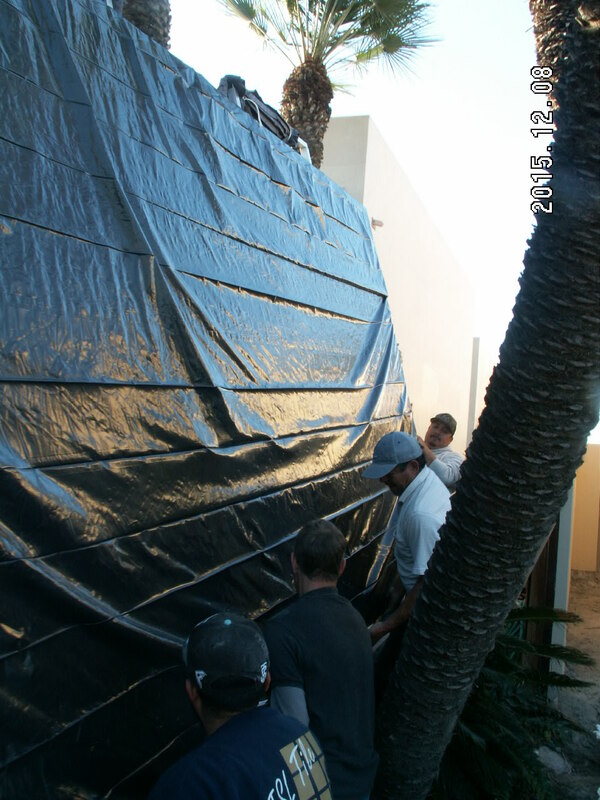 Unfortunately, getting the painting around to the back of the house involved passing through a palm tree, negotiating a full story of steep concrete stairs down, then back up, and just clearing a steel trellis with an inch to spare. Logistics. Luckily there were more than enough workers available to help safely navigate the route without injuring any people or the painting. 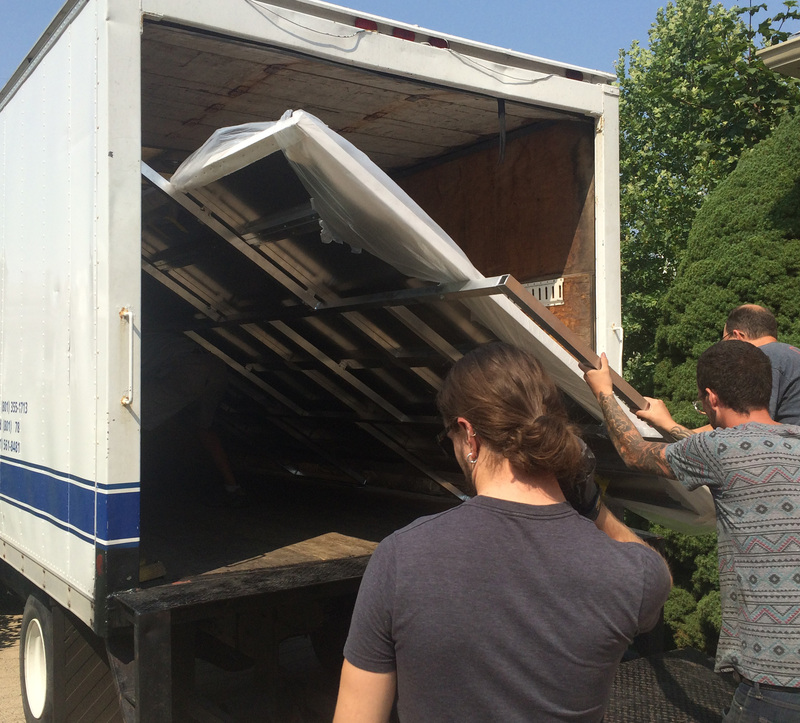 Once inside, we laid the painting face down on a bed of one inch insulation styrofoam and removed the support cradle which was loaded back into the truck, destined for an Aluminum reclamation/recycling facility nearby. Installing the painting was a piece of cake compared to getting it from the easels into the client’s lovely space. First, I measured for the placement of the French cleats. Then, with the help of a couple of finish carpenters conveniently already working in the room, I hung the cleat rails on the wall, attaching them to the plywood with a generous number of screws, and shimming them as I went to make sure they were level and as flat as possible. 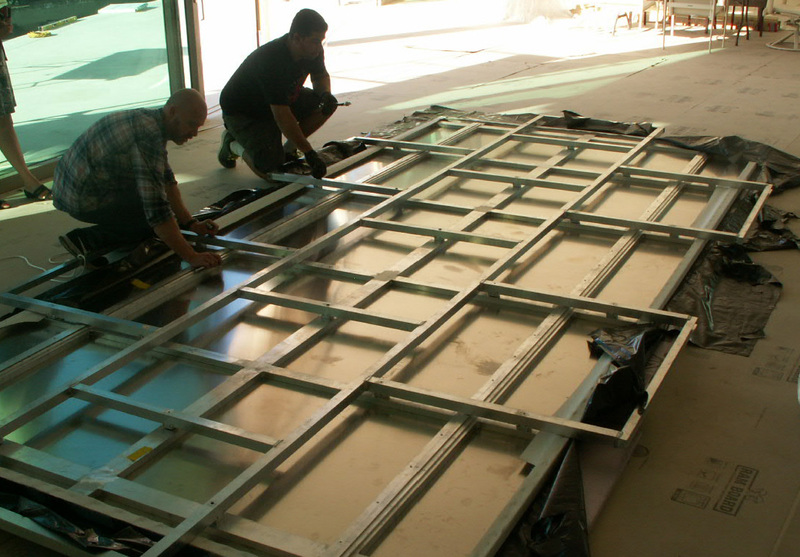 The cleats only allowed roughly 1/8 inch of play along the full 16 feet of the panel. 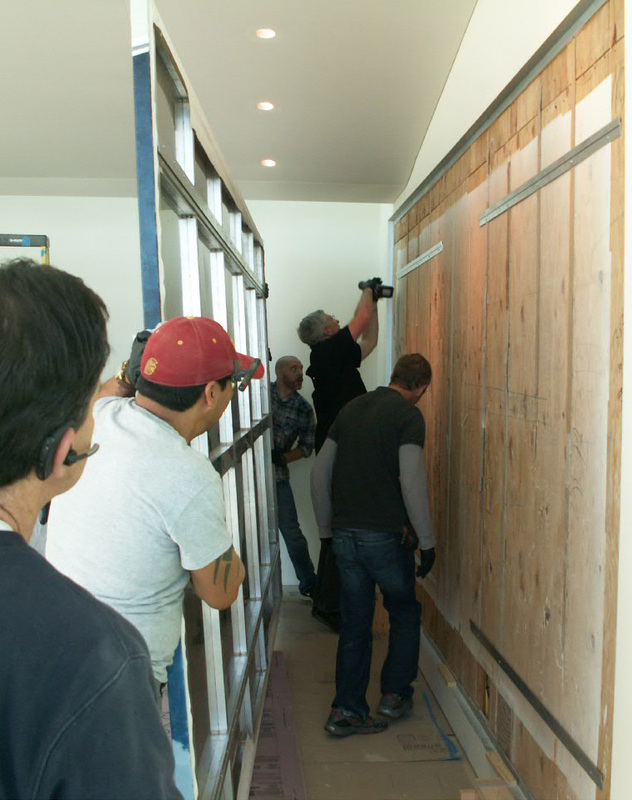 Then I enlisted ten workers to help gently lift the unwrapped painting upright and onto wooden spacers I had built, positioning it in the center of the niche and lining up the cleat on the back of the panel with the cleat on the wall. 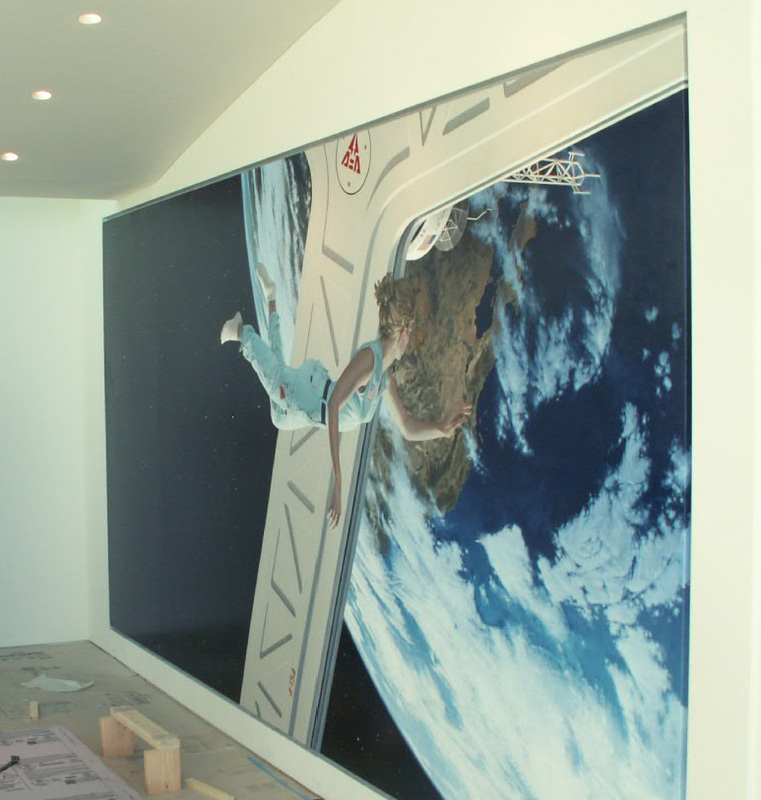 Then we slid the painting back against the wall, and lowered it onto the cleat. It took one round of adjustments to the cleat on the wall, but once the bugs were worked out, the cleats slid into position and the painting was securely hung in the center of its niche. What an amazing experience! I actually really enjoyed the entire process: from designing the panel to painting the painting to working out the logistics of delivery and install. It was a ton of work, but well worth it, particularly because the clients were so pleased with how it all turned out. Short version, absolutely spectacular! Slightly longer: Curiously, I looked through the entire gallery section of your site, and picked out that one as my favorite (It took a few minutes to decide that I liked it better than the 2012 version). 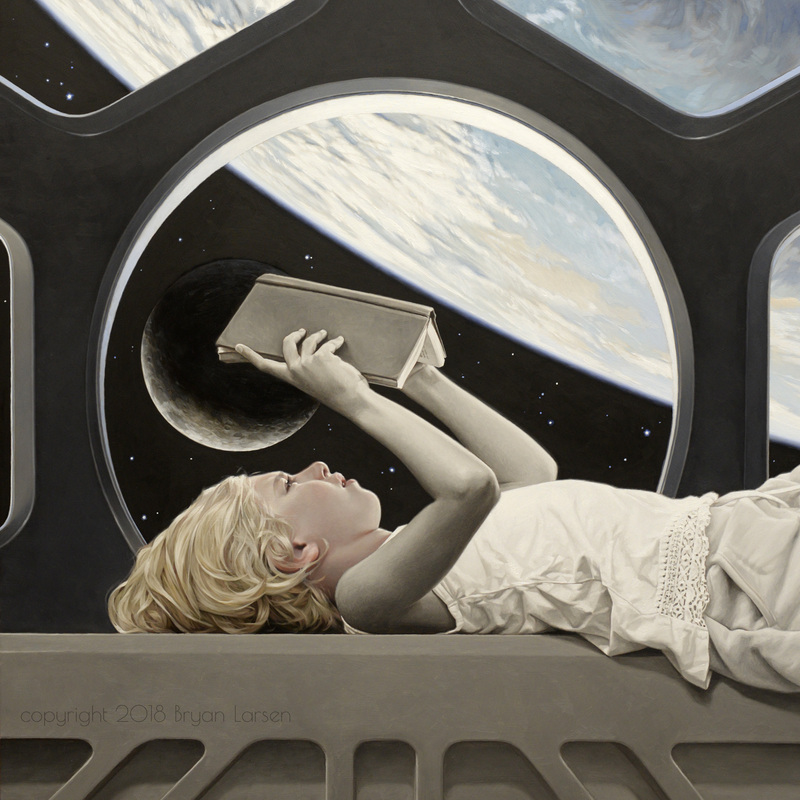 Further, I wished that I could see it full size, and this post at least gave me a feel for that. Thank you for sharing it (and the production/delivery mechanics). Wow. Thanks for sharing! 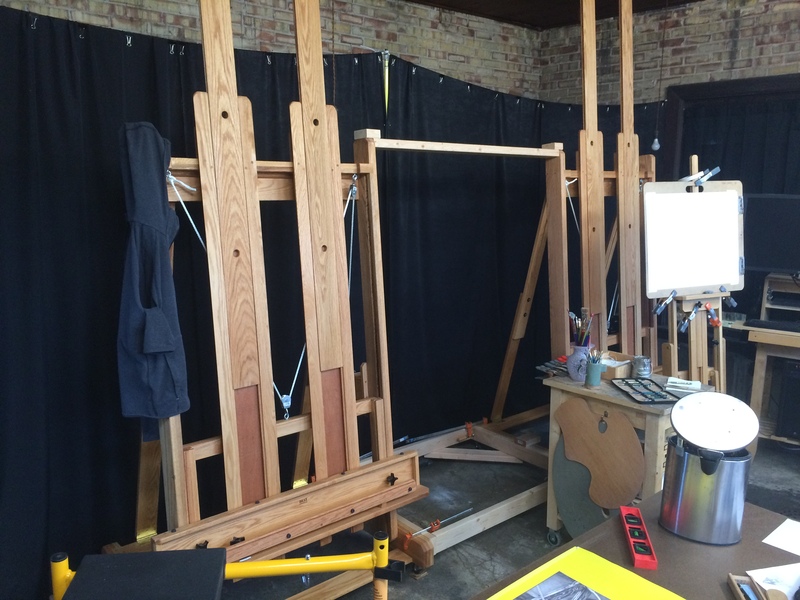 I would love to find a resource near Augusta, Georgia that could make some 5 x 8 foot panels to begin with- or do you have suggestions where I could order them? I paint portrait and Christian themed work mostly. Love your work! Where can I see it in person? 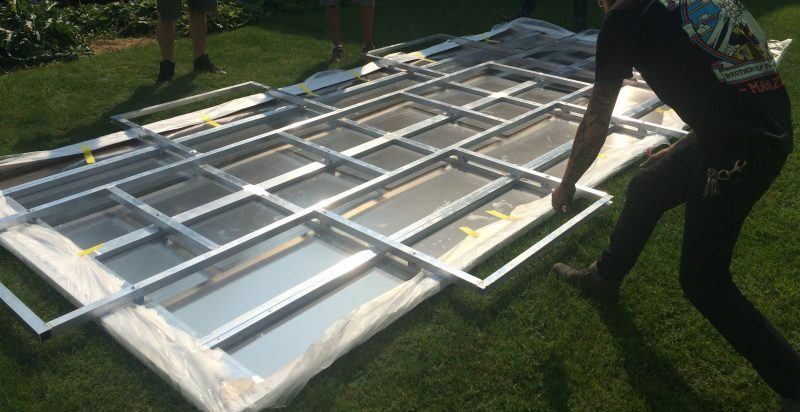 You probably can’t order a 5×8 panel ready to paint on anywhere, but you can almost certainly order a 4×8, 5×8 or 5×10 sheet of aluminum composite. Your best bet would be to google sign makers or sign making supplies in your area. Most of my work is in private collections. The Quent Cordair Fine Art gallery in Napa CA has the largest collection of available paintings. 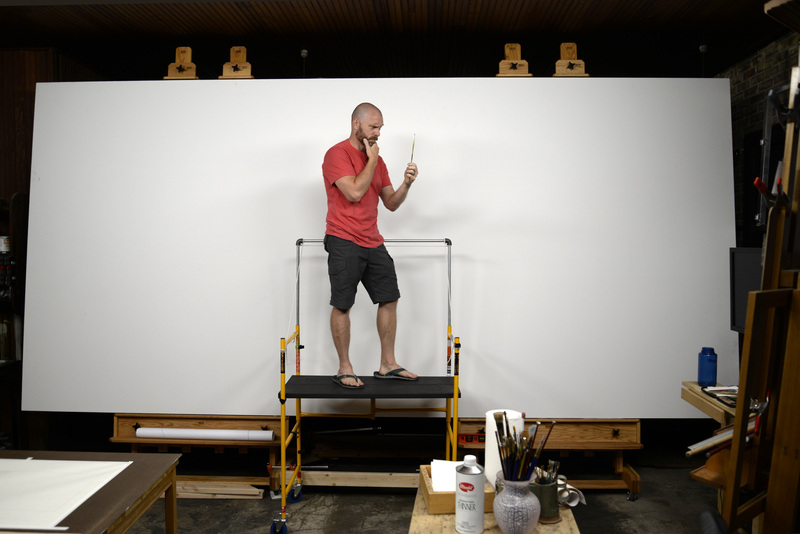 If you are ever in Salt Lake City, UT, feel free to email me about visiting my studio.